We are professional photographers and use professional DSLR cameras and lighting equipment to ensure best quality images. High quality and fast prints provided onsite. Print templates for each event are custom designed per clients colors/themes. We ALWAYS provide a friendly and experienced attendant for the duration of the event to ensure there are no hick ups on the event day. Our booths are open air, with elegant backdrops and sleek setup that won't interrupt the style and decor of your event. Our Green Screen Photo booth is set up exactly like our Open Air booth except with a green backdrop allowing us to drop in any digital backdrop! Don't worry we both get along great and bring lots of energy and fun to the booths when we are available to run them. 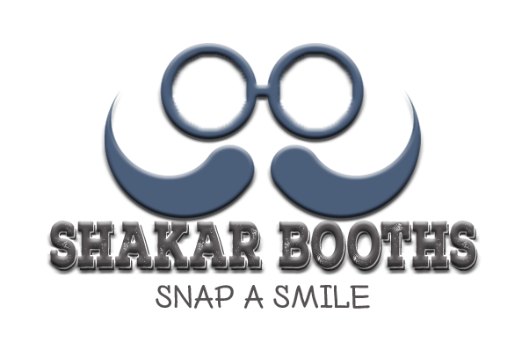 But we are the primary faces of Shakar Photography and if we are already booked for a date, we send one of our 4 super awesome photo booth attendants to party with you!